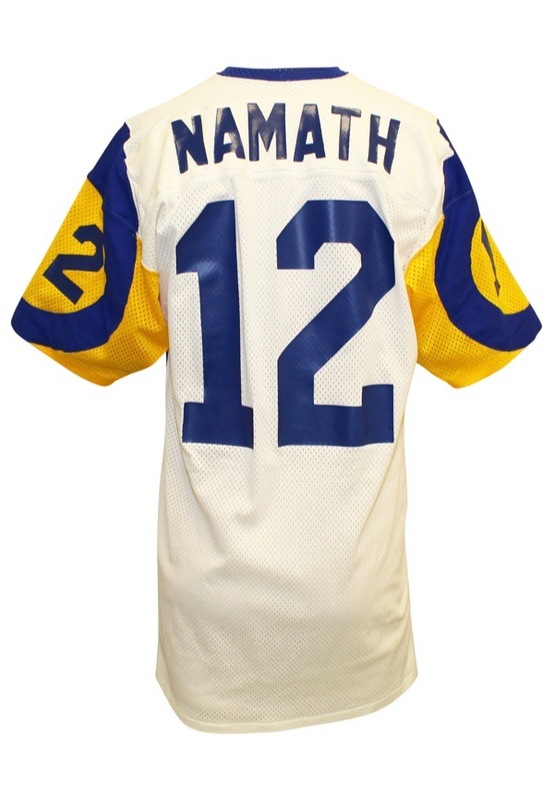 Joe Namath was inducted into the Football Hall of Fame in 1985. On the front left tail is the Sand-Knit manufacturer's tag size “46” with washing instructions. 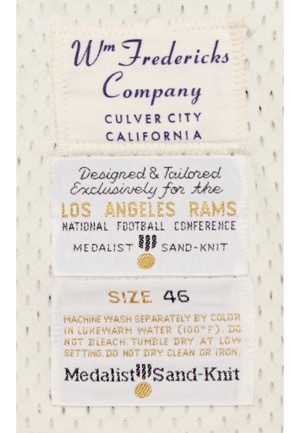 Adjacent above is an additional Sand-Knit tag reading “Designed & Tailored Exclusively For The LOS ANGELES RAMS” and a “Wm Fredericks Company” distributor’s tag. 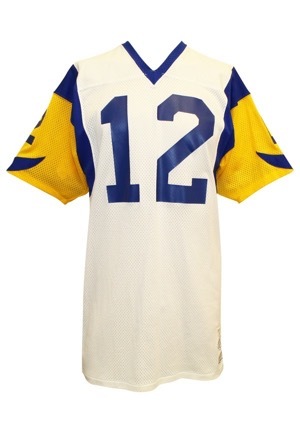 Across the front, back and on both sleeves is the player number “12” applied with heat pressed vinyl in blue. Across the back on a white nameplate is the player name “NAMATH” painted in blue. This jersey is properly tagged, was presented to us as game-used and in our opinion shows light use. Accompanied by an additional LOA.